​You're Cordially Invited offers a modern, chic, private and clean event space located in the beautiful township of Maplewood, New Jersey. 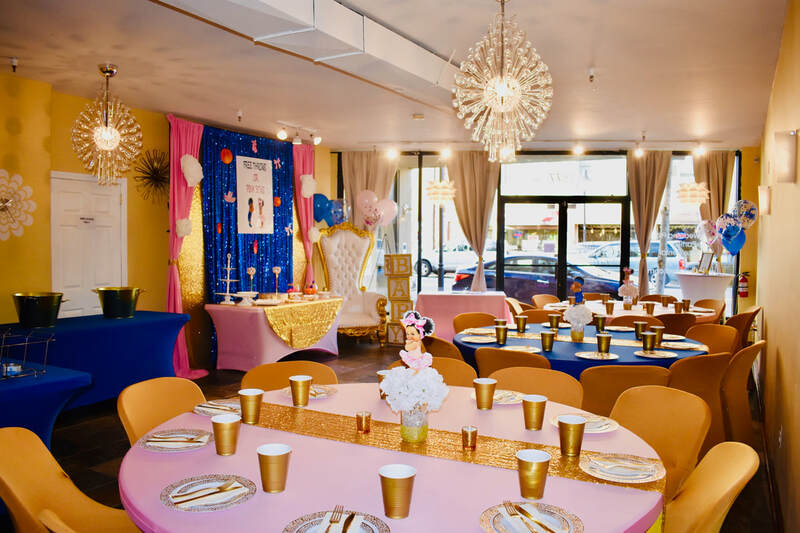 We are your "One Stop Shop"for your upcoming Birthday Party, Baby Shower, Bridal Shower, Milestone Celebration, Workshop, Launch Party, Corporate Meeting, Fundraiser and Social Networking Events, just to name a few! Plan Your Event with a Peace of Mind! Save yourself time and money when purchasing one of our Onsite Event Design Packages! ​You're Cordially Invited will decorate for you! 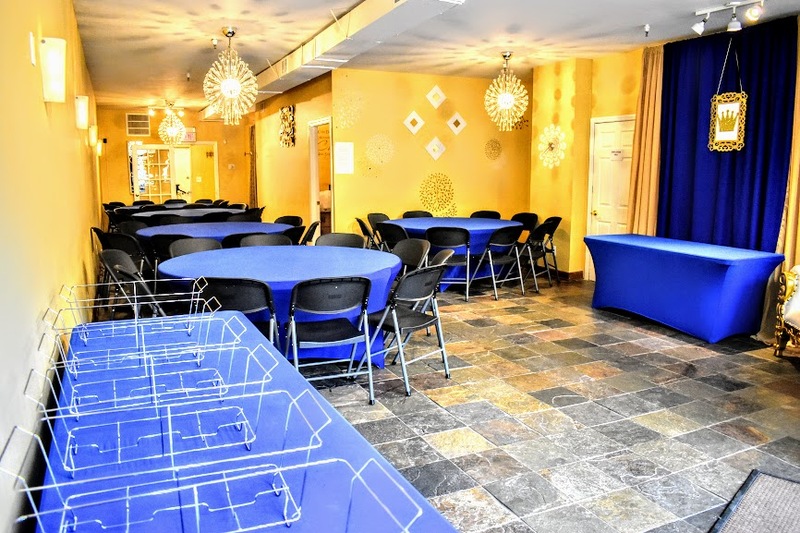 This package is perfect for an intimate Dinner Party, Engagement Party, Baby Shower, Bridal Shower, Birthday Party, Baptism, 1st Communion or Graduation Party, Networking or Social Event and much more! This package is perfect for an intimate Baby Shower, Bridal Shower, Birthday Party Anniversary Party, Milestone Occasion and much more! Our ​​​Package Event Decor Pricing will be based on the quantity of tables and any additional customizations. ​Please contact us for additional information and pricing for your event. All items such as centerpiece designs and customized decor within this package are the property of YCI and will be rented only. Should you be interested in purchasing the centerpieces and our customized decor items, please inquire at the time of booking. Personalize your own event while having the option to just show up for the Party! YCI staff will decorate! Make an appointment to drop your event items off 48-72 hours prior to your event date, and the YCI staff will complete the setup! * Please note that YCI will not guarantee the setup of event items delivered same day. If your drop off items require assembly, an additional service fee will apply. Balloons are not included. Should you be interested in our Balloon Service, we will purchase and inflate the balloons for an additional cost. Please Note: This package does not include YCI Clean-up Services and the Client will be responsible for clean-up. ​Client must be 21 years of age or older to book an event. A signed contract and non-refundable deposit must be received to reserve your event date and time. The balance of the total event cost is due 10 days prior to the event date. The maximum guest occupancy for the event space rental is 60 individuals seated and 75 standing. YCI will complete the setup of tables and chairs per the confirmed guest headcount and requirements for your event. Client arrival 1-hour prior to the contracted event start time for setup purposes only for No Additional Charge. Complimentary usage of YCI's blue-tooth speaker to stream tunes via your mobile or electronic device. Please note that we will not supply a device to stream music. Table covers must be placed on each table being utilized for the event. Important: A linen material table cover must be used on tables in which food warmers will be placed. Client is responsible for cleaning and disposing of all items prior to the event end time. ​​ Please note that no additional time is provided for clean-up. Please Contact Us today to book your event date!